The education revolution is gaining momentum online, with MOOCs and startups like Coursera getting more and more people and universities to join in. Breakthroughs on earlier education are however still very few. French-Norwegian startup We Want To Know is focused on K-12 education, and is revolutionizing the way mathematics can be learned – though once you’ve tried their Algebra learning games DragonBox, you’ll be wanting to say “the way mathematics can be played”. Anyone that was any good at maths started off as a kid by having fun solving simple problems, until something took the enjoyment out of learning. However, solving an equation in algebra is essentially a puzzle game, especially if it is met with a playful mind. DragonBox, by bringing out the puzzle game in algebraic manipulation, and making it into a beautiful and fun game in its own right, is taking care in one fell swoop of making the players see that maths are very accessible, and can be fun. Bearing in mind that performance at maths often conditions pretty much all the scientific learning that follows, the significance and impact of DragonBox for education is absolutely huge. So, if you’ve missed the amazing first DragonBox, now renamed DragonBox 5+, then put on your seatbelt, DragonBox 12+ is lightyears ahead as well – and goes further. You will never conceive learning the same way after you’ve looked at these games, and especially learning maths. This kind of grand claim could seem laughable, but there must be something to it for all the schools in Washington State being now able to enter an algebra challenge using DragonBox that will take place June 3-7, with a great amount of support from the Center for Game Science at the University of Washington. DragonBox 5+ is also being focused on by researchers, who are studying in both Columbia and the UK how much progress classes of kids do. This will be the subject of a later publication, but I was able to take a peek at some preliminary numbers and they have confirmed all the good things I think of DragonBox 5+. When this comes out, it will certainly send ripples far and wide, as the ambition here is quite simple to change the way maths are taught. So if DragonBox 5+ is so awesome, what could DragonBox 12+ possibly bring to the table? In a word: more. The only frustrating thing about DragonBox 5+ is basically that it didn’t go further than solving an equation for x after a few hours of playing, which was no small feat to begin with. 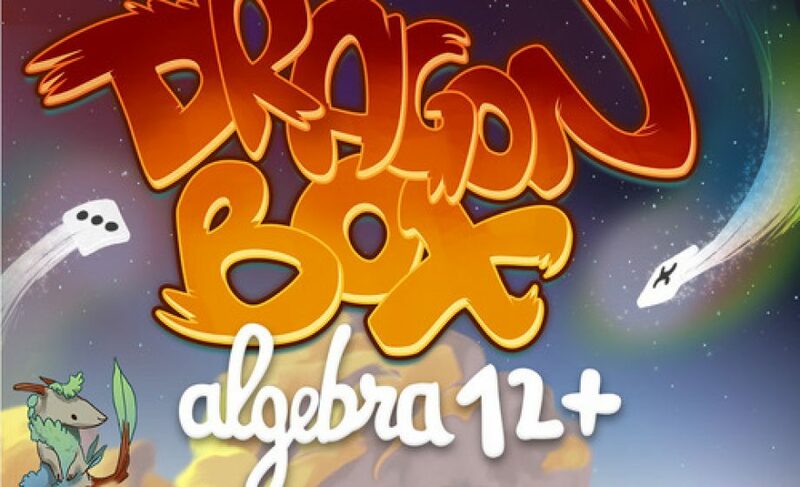 DragonBox 12+ gets into a whole new array of concepts that are still learned solely through gameplay, including: factorization, distribution, sign rules, fractions, operations on variables and denominators, etc. Just think back to your years in middle school, and let sink in for a second that you could have learned all that playing, and in about 6 hours. Incredible, right? DragonBox 12+ is sold for 9€ on Android and iOS. This might seem high in an app store context, but it is a gift when compared to the price of tutors, and more importantly, when considering the profound impact this game can have on the kids lucky enough to have this in their hands early on in their learning journey. As a result, DragonBox 12+ is being offered directly to schools as well, under licensing agreements, just as DragonBox 5+ already is. With only a little under 100k purchases of DragonBox 5+, it’s fair to say after a year that the consumer marketing is lacking badly. A game that is this much fun and this much useful for learning should have been downloaded by the tens of millions. Luckily, their B2B licensing efforts are starting to pay off, and the Algebra Challenge is a great exemple of this. Education is a notoriously challenging market. Let’s hope DragonBox finally breaks through the glass ceiling here, and get the recognition they deserve. Such success is necessary for this company to grow, and more than anything, it is vital that every kid can get their hands on DragonBox. It will change their future.